Nurul Ali. 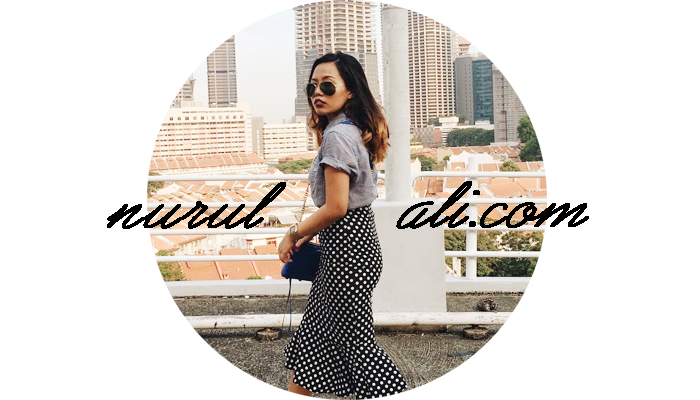 | Singapore Fashion & Lifestyle Blog: Entry Selected! Delighted to know from Alvin OMYSG that I am one of the 4 bloggers selected to be in Star Style contest! In fact, I was surprised. I mean, my readership is not as fantastic as other bloggers hence I have the mindset of not being picked. I didn’t even put any high hopes at all as I remember clearly; the submission of my entry was just out of fun and trying my luck. Never did I expect to be selected! Haha. That aside, last week the other 3 bloggers and I head down to Bugis+ Management office for a quick briefing and at the same time to sign the agreement letter. 2. To prepare our own music and choreography - Still choosing that perfect music which could go with my theme! 3. Loan can only be done on the day itself - That being said, I am not allowed to loan/bring home the items few days before the show. Those terms given to us are mad tough. To be honest, I'm having the chills now. Not sure if this show would be a success one for me but I hope everything will go smoothly and as planned. Just keep a look out for my updates here, yeah? I'm a faithful reader, good luck!!! Thanks darling. I guess your well wishes actually made me won the second place! Haha.